Sorry It's been another long period of time between blog posts, but I promise it's because I've just been too busy. I'm still working hard on the New Range for Agnes and Vera! It's coming along nicely, and will hopefully be in their beautiful shop at the end of this month! Beautiful Personalised Pinny for a special order. On another note, I've also made a few New products!! I mentioned the printed cards in my last blog post-well now they're printed!! AND for sale!! 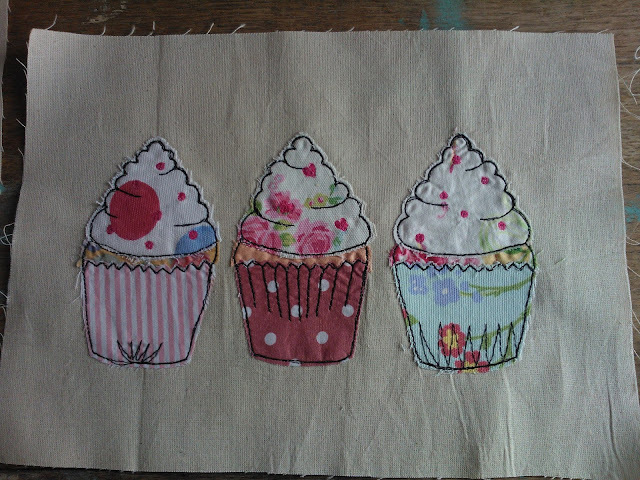 :) The Cupcake cards are available HERE. There are four designs in total, so hopefully you'll like at least one! The finished Bea's Cupcake Card Design. If you're a 'liker' of our facebook page, you'll know about the little challenge I've bee doing. I've asked everyone to Share my facebook page, I'm trying to get to 300 likes. And if we achieve this I'm giving EVERYONE a reward!! So if you're not already a 'liker' please go and like our page! And you could get something lovely!! Thank you to those of you who read this and keep up to date with whats going on! (I know I always say it!!!) It really does mean the world.